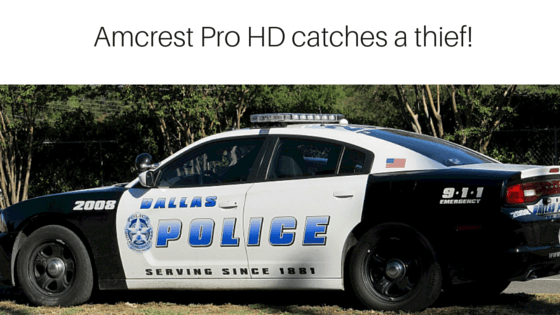 The Amcrest Pro HD 1080P catches a thief in the act! The Amcrest Pro HD 1080P nanny cam is a super little security camera with loads of great features (you can read my review here). 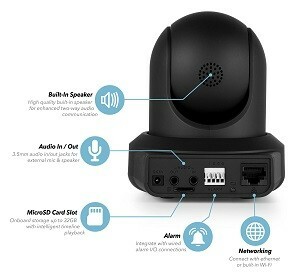 This is the most popular nanny cam on my website, and in fact it is the nanny cam that most visitors here purchase. So when I came across this story about the Amcrest Pro in the news the other day, I just knew that I had to share it with everyone. This news item really demonstrates how useful the Amcrest Pro HD 1080P nanny cam really can be for protecting your home and valuables, as well as your family. The thing is that you can use the Amcrest Pro as a nanny cam, because it gives you peace of mind when you have to leave your little ones with a babysitter. We have all heard of some of the horrid things that can happen when people we leave our children or babies in the care of someone we trust (you can read my post on that here – but it is a bit graphic, so be warned). Anyway, as well as using the Amcrest as a nanny cam you can also use it for home surveillance, either by adding more cameras to the system (you can have up to 4 Amcrest cameras on the same account) or once your children are grown – you can re-purpose them for home security. So this thief was caught by the Amcrest pro as he brazenly drove up and parked in the owners driveway, walked up to the front door and casually walked away with two packages from Amazon, which had been delivered that day. As you can see, the Amcrest camera is located right at the front door, so it was in the right place to catch footage of this thief. It isn’t a nice very nice thought when you realize that someone can just walk right up to your door like that and steal your packages. In fact, the latest statistics I can find on home invasions in the US is from 2011, where there were nearly 3.5 million reports of household burglaries. These statistics had reduced considerably over the previous 18 years, but at the same time thefts of electronic devices and household appliances had increased. Other statistics I found state that the US has the most burglaries in the world with one taking place every 15 seconds! No-one wants to think that someone can break into their home and rummage through their belongings, let alone steal something of value. So installing a network of the Amcrest Pro cameras in your home will not only let you keep in contact with your family when you are not at home, but will also keep your home safe when everyone is away. 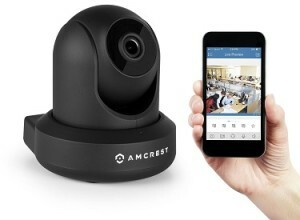 Purchasing 3 or 4 of these Amcrest nanny cams will set you back less than $500, which is not much money to set your mind at rest and protect your family. Of course you can purchase just one camera and add to it as your budget allows, as there is no problem with building a network over time. If you want to learn more about the Amcrest Pro HD 1080P nanny cam, you can read my review of the Amcrest Pro HD 1080P or you can just check out my page on the Amcrest’s specifications.